Fostering the success of our faculty and staff is critical to meeting the mission of the College of Arts and Humanities. This year, 17 faculty members received promotions or tenure. 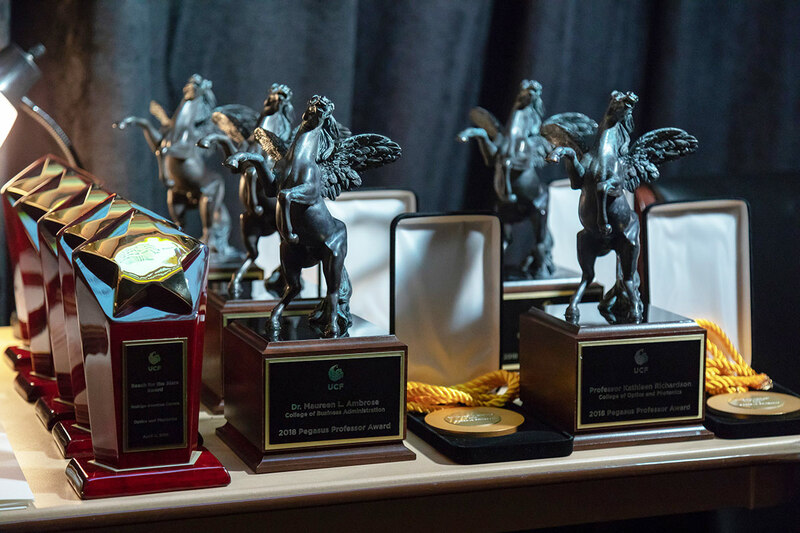 Faculty members from across the college were honored at the 2019 Founders’ Day Honors Convocation, which recognizes UCF faculty members and students from across disciplines for their academic achievements, contributions and tenures. 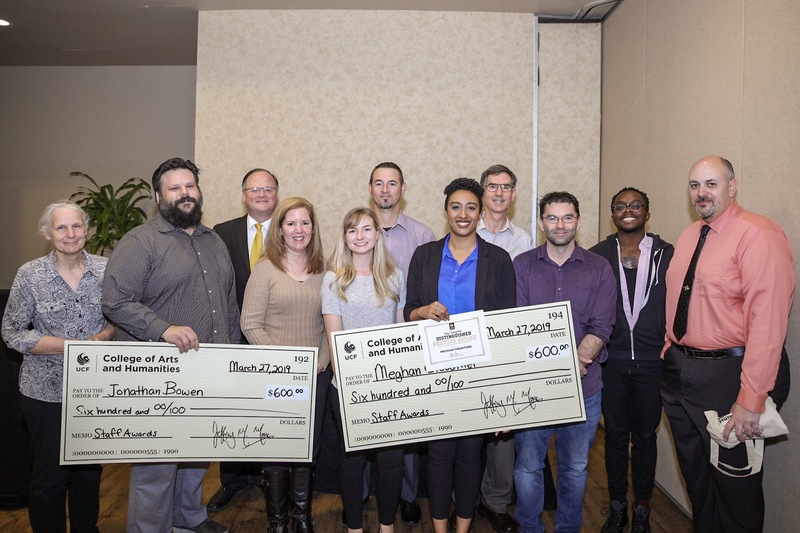 The 2019 CAH Staff Awards recognized 22 staff members for their years of service, hard work and commitment to making UCF great. 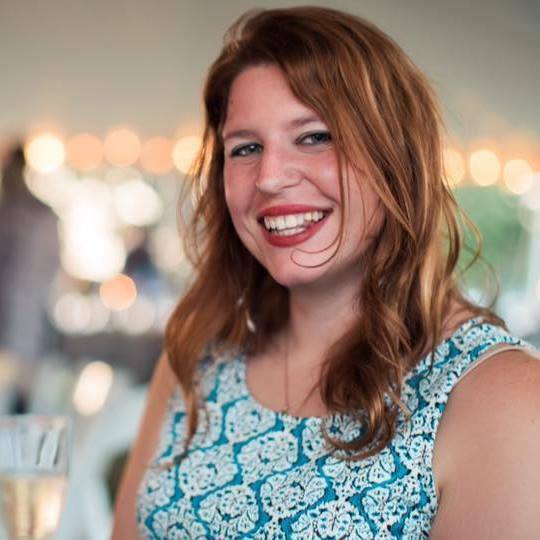 Kate Kilpatrick will soon graduate with an MFA in Theatre for Young Audiences and the Order of Pegasus for her hard work, which includes directing plays for UCF Celebrates the Arts and teaching children about the joys of theatre. 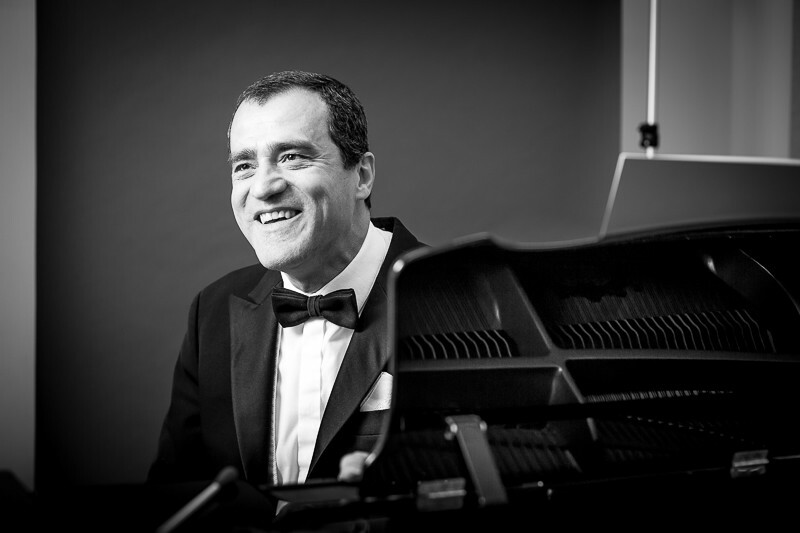 Based on a poem by UCF English professor Chrissy Kolaya, music professor Alex Burtzos’ choral piece “Mirabilis” will be performed by the UCF Chamber Singers at UCF Celebrates the Arts. 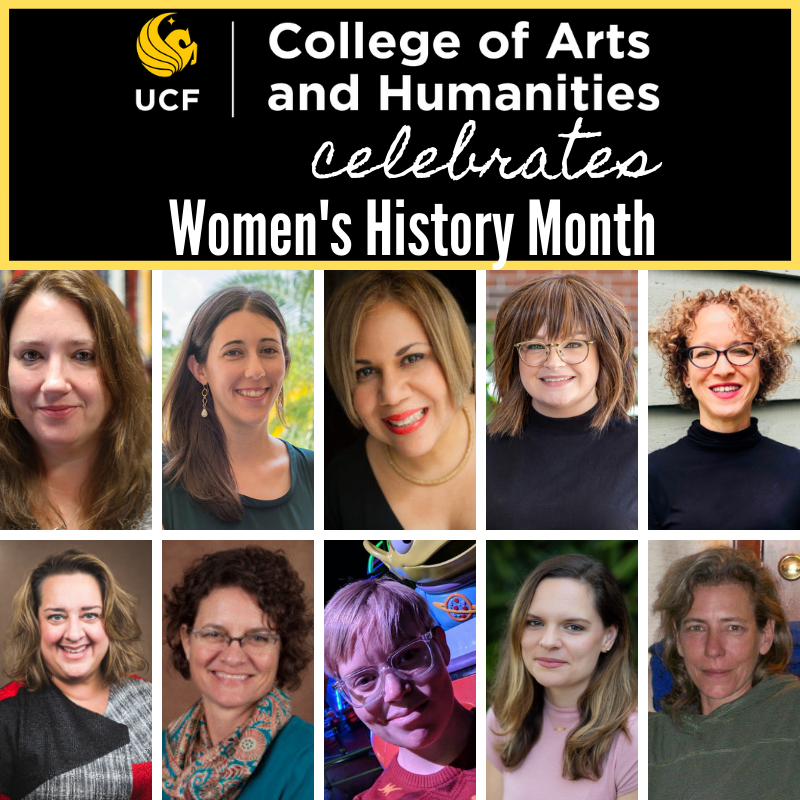 UCF Faculty Excellence chooses 31 UCF women to honor throughout Women’s History Month each year. 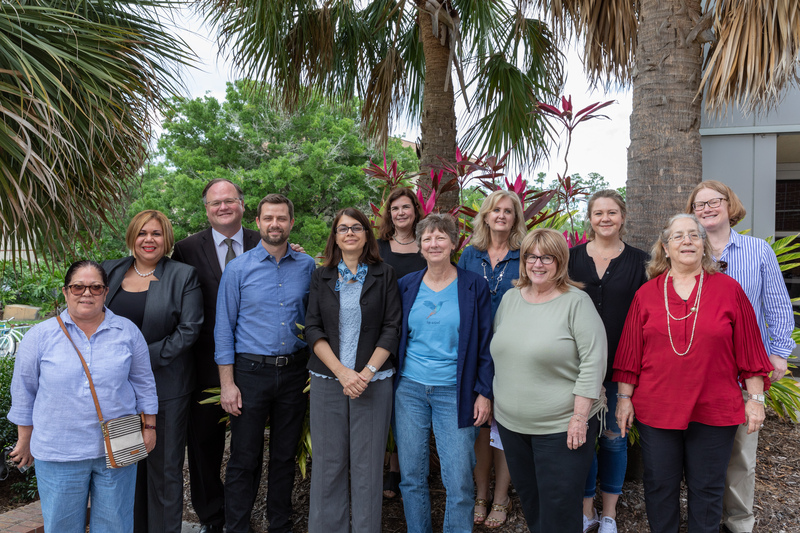 For 2019, 10 of the 31 faculty members are from the College of Arts and Humanities. 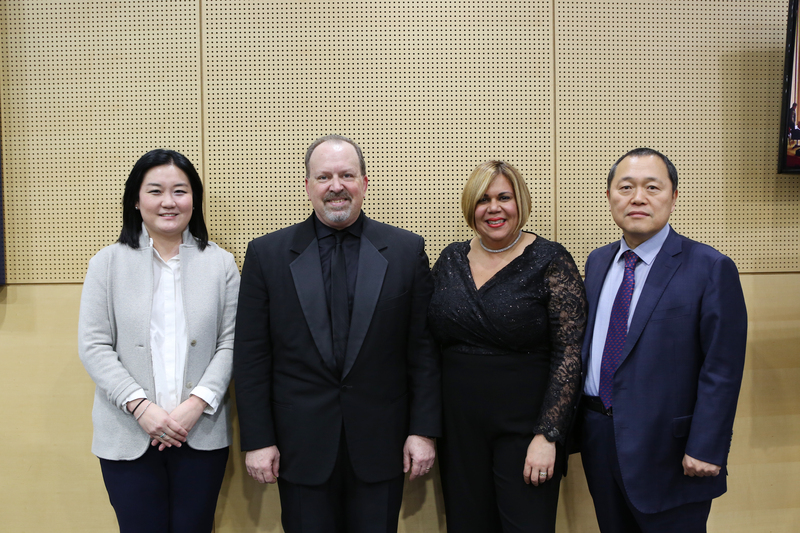 Director of Bands Scott Lubaroff, associate professor of flute Dr. Nora Lee García and associate professor of bassoon Dr. Yoon Joo Hwang will be presenting master classes from March 13 to March 18 at Yonsei University in Seoul, Korea. 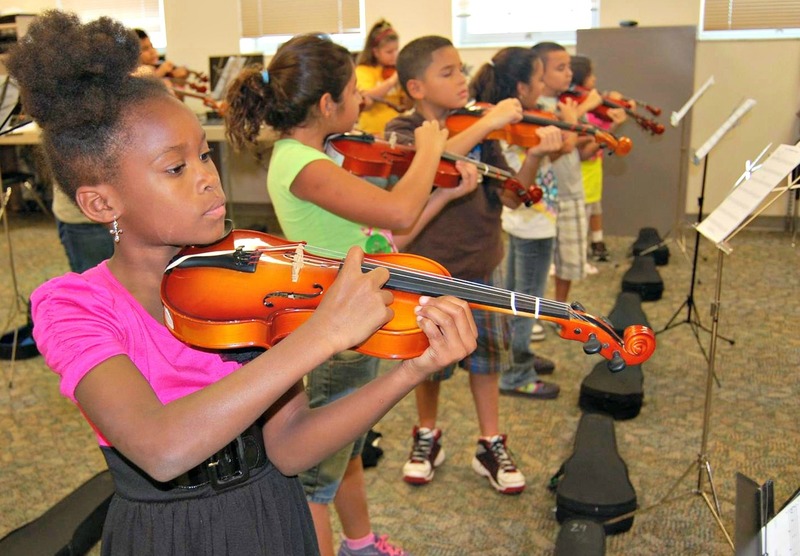 Helping students discover their own creativity through music and music education, the Central Florida nonprofit program has provided thousands of students with tuition-free music education for twenty years provided by UCF faculty and students.